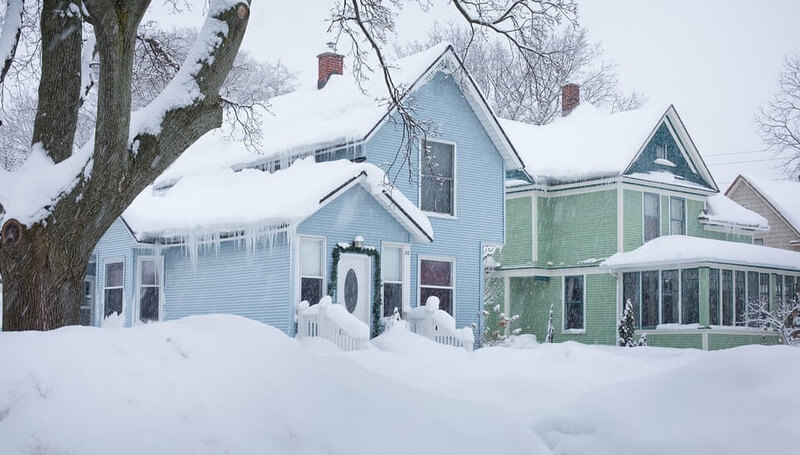 Being a homeowner is a great deal of work, especially when you’re getting your home ready for the harsh weather that comes with winter. Fortunately, there are relatively simple home winterization tasks that you can do to prepare your home for the oncoming freeze. When you take on the responsibility of protecting your biggest investment, you’ll make your home more energy efficient, increase your family’s safety, and likely even lower your utility bills. Before tackling any of the items on the list below, go through your entire home and make any repairs that are needed before the temperatures drop. When cold weather hits, you’re going to want to warm up your house easily. Before doing so, you’ll need to clean your furnace and change the filter. The system will work less efficiently and create a potential fire hazard if there is a build-up of dirt and debris. If you don’t want to tackle this job yourself, you can hire a professional to take care of it for you. They will clean your furnace and inspect it to make certain that it is safe. Change your air filter regularly during the winter season since an unclean air filter will keep your system from functioning efficiently. When you go to the hardware store to pick up new filters, bring in your old filter and inquire about energy-efficient replacements that will fit your furnace. When the temperature drops, you want your home to stay comfortable and cozy. It’s important to make sure that no heat is escaping from your house and that the cold air isn’t able to enter, either. You don’t want to put extra pressure on your heating system. Put draft guards under your doors, wrap your windows in plastic, and caulk any gaps or cracks. You can also invest in storm windows which will help you save money on heating and cooling year-round. Make sure that your fireplace’s flue doesn’t contain soot or creosote to reduce the chances of a house fire. You should hire a professional to inspect and clean your chimney every year. Also, test your smoke detectors and carbon monoxide detectors to make sure that they’re working properly before you light your first fire. Shut your damper and check to see if you feel cold air; if you do, then it’s likely that you have an air leak. Use a chimney balloon or call a fireplace repair person to help you seal it up. It’s also important to prepare the exterior of your home for the winter months. Clean your gutters and secure your chimney vents. Get your yard ready as well. Put away any outdoor furniture, hoses, and sprinklers, and drain your outdoor faucets of any water so your pipes won’t burst when it drops below freezing. Cut down large branches that are near your home or electrical wires to prevent the damage that could occur during a heavy storm. Rake up your leaves and compost or mulch them if possible. Finally, switch out any burnt out exterior light bulbs in preparation for the shorter days that come with winter. A Home Maintenance Inspection conducted by a certified home inspector is a great way to cover your bases when getting ready for the cold months to hit. At Advantage Inspection Services, we use Infrared Thermal Imaging to detect areas of heat loss and moisture intrusion. Contact us today for a Home Maintenance Inspection as part of your home winterization plans! Advantage Inspection Services provides residential and commercial inspections, and a variety of testing services in Blair, Centre, Huntingdon, Clearfield, and Cambria Counties in Pennsylvania.